I’m a keen people watcher. I can pull personality, mannerisms and habits apart and scrutinise them quickly… It lets me know what makes people tick so I can help them change the bits they aren’t happy with. In my work with my clients, this superpower is useful because I can spot self-destructive talk a mile off. What’s the biggest disempowering thing my clients say? I do that to break their train of thought. To plonk them into a new place, where they are more open to changing this negative habit. 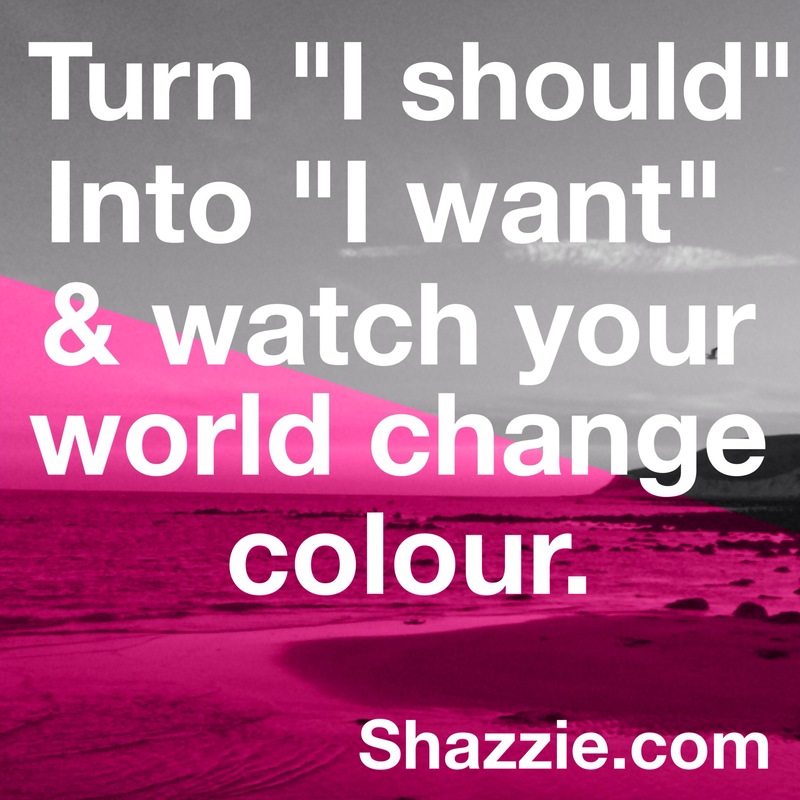 Because when you change “I should” to “I want to”, or “I shouldn’t” to “I don’t want to”, something magical happens. You immediately take responsibility for all your actions and non-actions. You empower yourself to really do what you want. To choose. To take action on that choice. To stop feeling split. To enable yourself to make fast decisions. To live easily. To be happier. To get stuff done. You breathe… Life becomes good again.